4k00:19Houses of Parliament and Westminster Bridge in early morning light. Camera pans from the bridge. Wide shot pan. 4K Clip 21.
hd00:30Double-decker buses, traffic and people cross Westminster Bridge in London at sunrise. 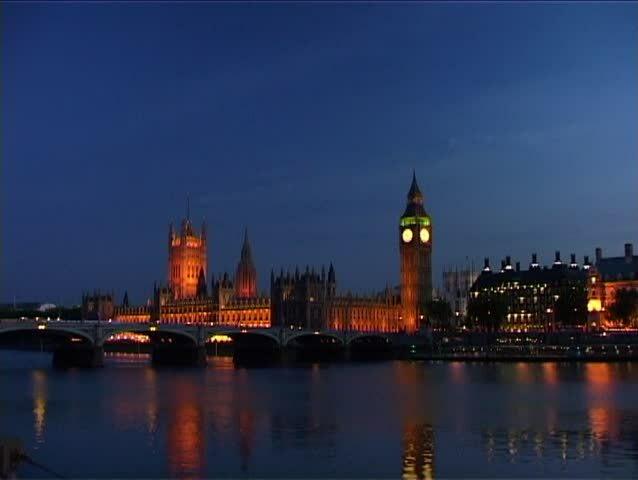 The first morning sunrays illuminate the Big Ben tower and the Houses of Parliament.